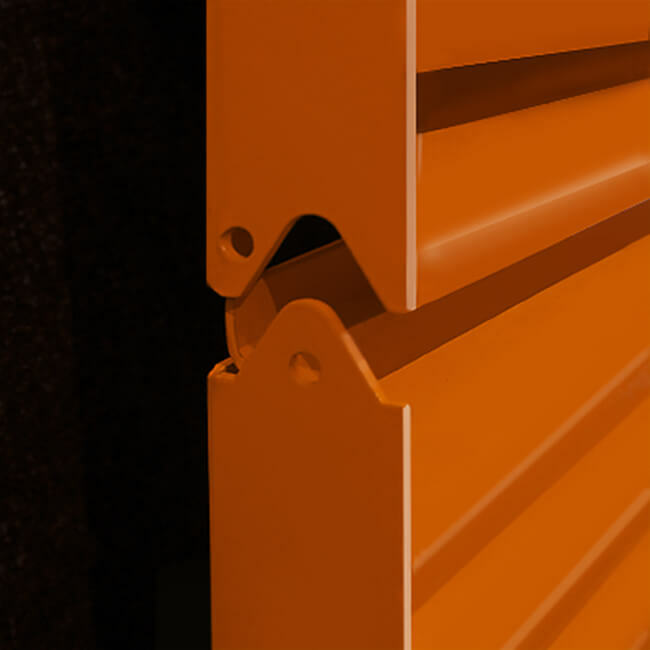 A unique interlocking, stackable louvre system that can be designed to suit a variety of structural openings including squared and arched. 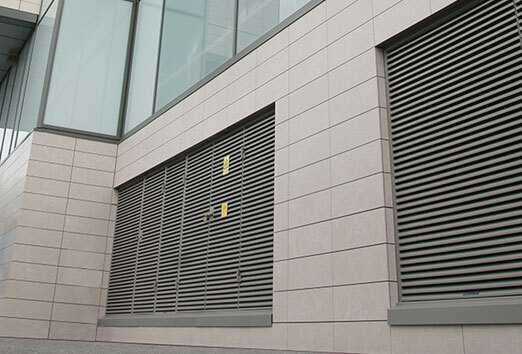 This product is design led and is often specified to meet aesthetic demand and building signature, without compromise to ventilation performance. 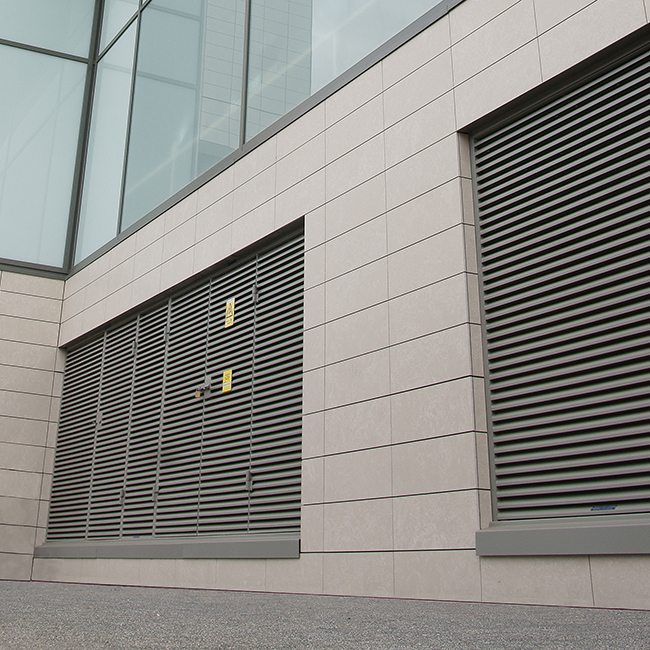 The unique feature of Sunray Stackable Louvre System is its ease of installation, seamless appearance and unlimited height of assembly subject to structural restrictions. 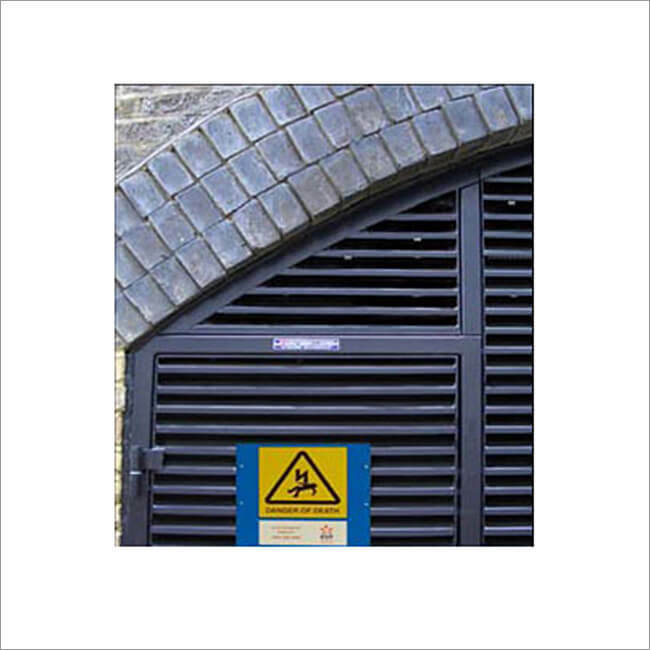 This product can also be used in conjunction with Sunray Louvre Doorsets to ensure a continuous theme where access is required. 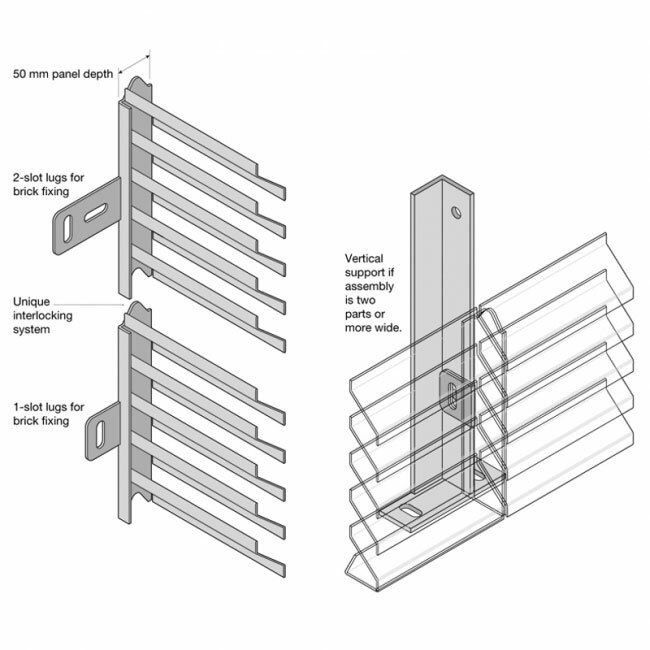 Unlimited height of assembly subject to structural restrictions. 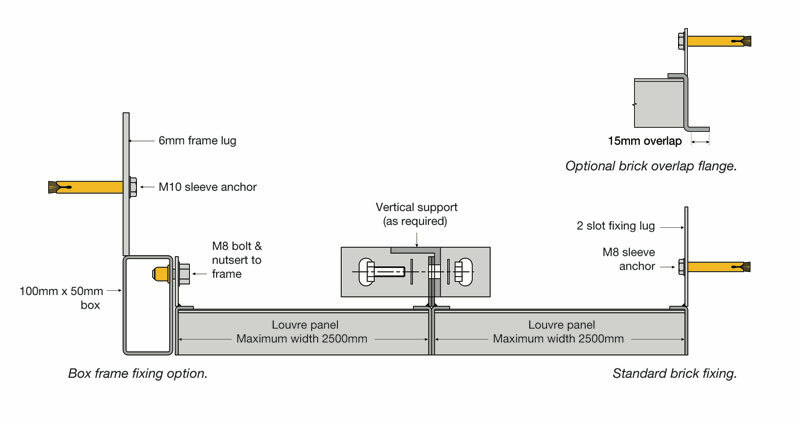 Sections up to 2500mm wide. Anti-vermin mesh or blanking to rear. Complements other Sunray louvred products. 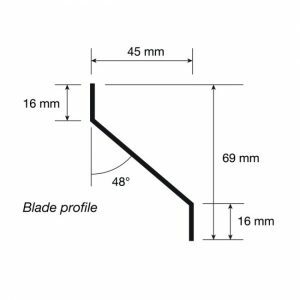 Flush or recess fitting options. 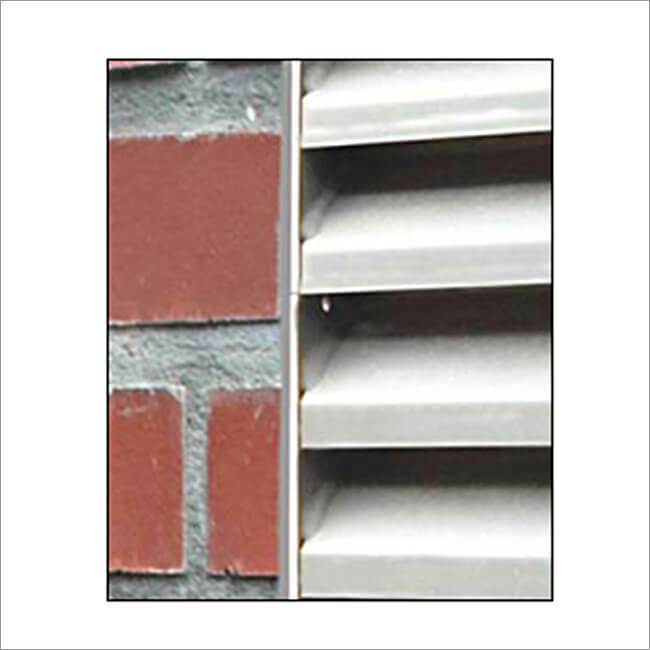 Fitted direct to brickwork or within an optional frame. Top panel can be fixed through front face if rear space is restricted or internal access is not available. Technical reports can be viewed by downloading the PDFs. 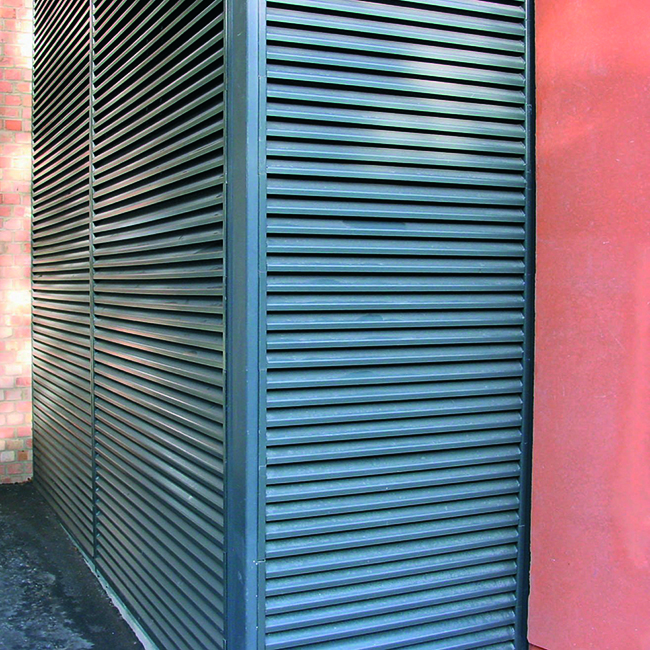 Louvred doorset combined with Stackable Louvre system. 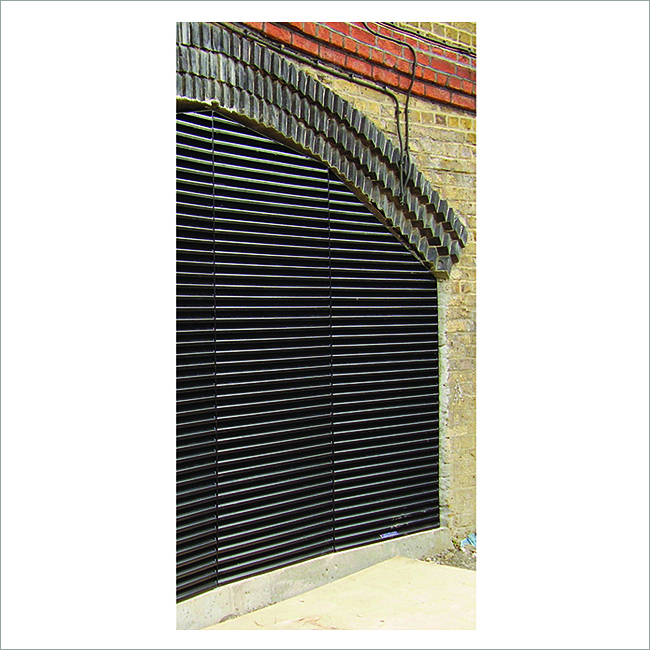 Can be fitted into a curved structural opening. 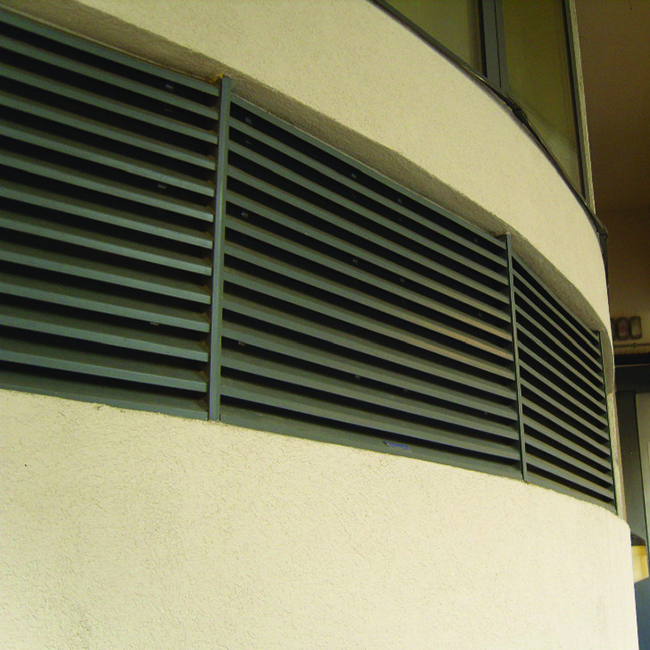 Used in combination with Louvre Door. 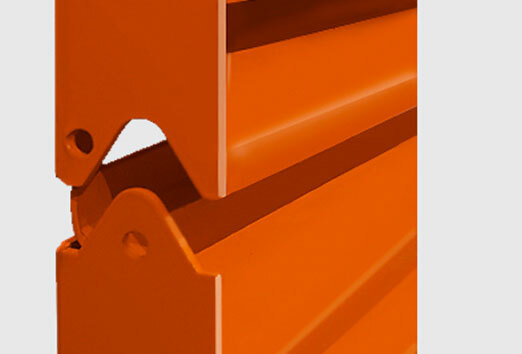 Can be manufactured to fit curved structures. No visible joins for high visual impact. 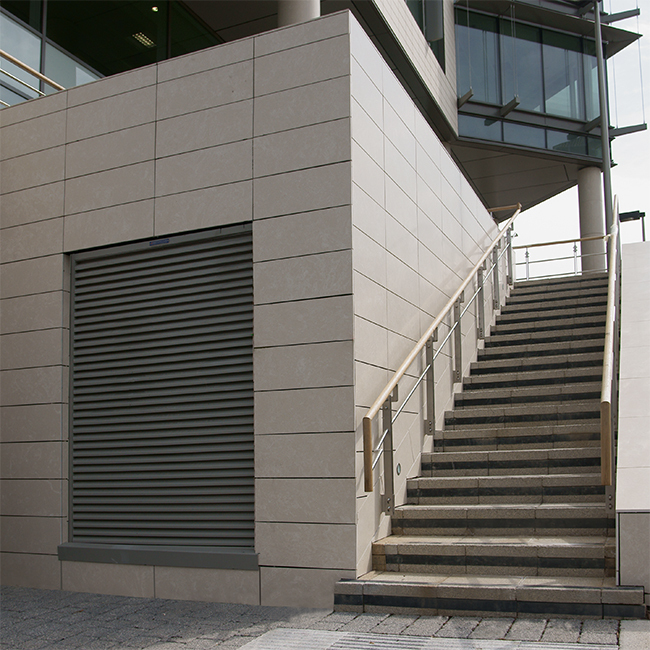 Stackable louvre powder coated in stone grey to complement surrounding stone cladding.